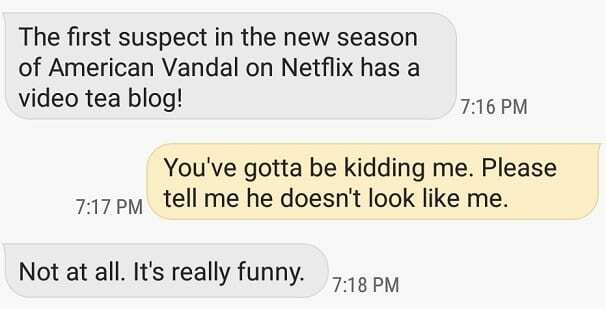 I’d never heard American Vandal, nor was I aware that it had two seasons. My Netflix-fu was neophyte status at best. If it didn’t have the word “Marvel” in front of it, or could be easily searched in the anime section, I probably didn’t know it existed. But the thought of a series even acknowledging tea vlogging? That tickled my curiosity gland. Per his advice, I skimmed the first and second episodes for the tea scenes we discussed. 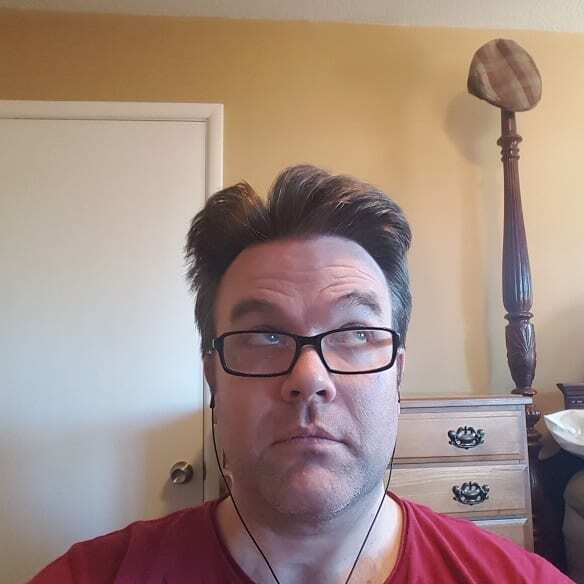 The first mock-vlog posted by this character—Kevin McClain—dealt with cultivating proper slurping techniques. 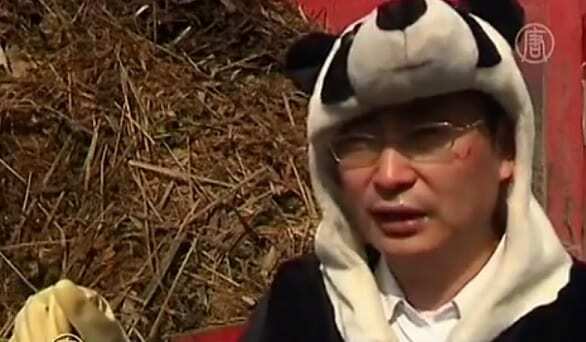 Whereas, in the second snippet, he discussed “panda dung tea”, which was a real thing . . . but . . . The less said about that, the better. Later on, I perused the show notes. American Vandal fashioned itself as a “true crime parody”. Think Murder One, but instead of grisly crime scenes, the subjects of investigations were high school pranks. The first season dealt with a high school prankster that had a habit of drawing male private parts in inopportune places, whereas the second season took on a more scatological bend. Most reviews found the show hilarious and riveting; at the same time. 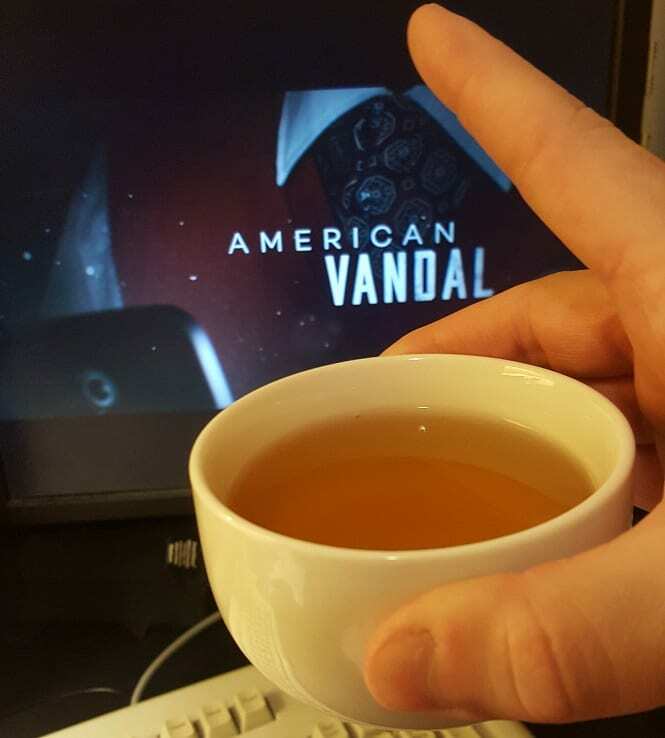 I've watched two episodes of #AmericanVandal season 2, and I have to ask the creators – @DanJPerrault & @Tyacenda – who came up with the idea of making one of the characters a #tea vlogger? And why? I must know … on behalf of my small community of tea vloggers/bloggers. Hoping to get the showrunners’ attention. Needless to say, that didn’t work. So, I went to Internet digging. I’d grown fairly proficient at it. The first and most obvious search query was tracking down interviews with the show’s creators—Dan Perrault and Tony Yacenda, respectively. If they couldn’t be bothered to respond to a lowly tea blogger on Twitter, perhaps they “spilled the tea” to larger publications. And spill, they did. Kinda. In summary, Perrault, Yacenda, and the actor portraying Kevin (Travis Tope) based the character on a combination of influences. Their own personal accounts of ostracism, quirky people they’d known in the past, and eccentricities they’d heard about; basically, it was a vague hodgepodge of inspirations. The tea thing just seemed weird enough to be part of the Kevin McClain-esque make-up. Were all of Kevin’s quirks defined when you took the role, or did you add any during filming? I just love his tea drinking. So, there was some premeditation there! After that, I had to stop reading articles on the show. Many delved into spoiler territory. The next phase in my investigation involved watching the actual show. I prepped the kettle, dug out a (fittingly) mysteeeerious sheng puerh tuocha, and . . . Spilled it all over myself while trying to establish this photo. Off to a great start. The first thing that struck me about Kevin was just how much of a . . .
Total newb he was at the whole tea thing. I have no idea if the showrunners, writers, and crew had any idea about tea appreciation. Maybe they made him a tea idiot savant on purpose, but I didn’t know any die-hard tea aficionado that kept tea sachets in a caddy, or made regular use of a ball infuser. 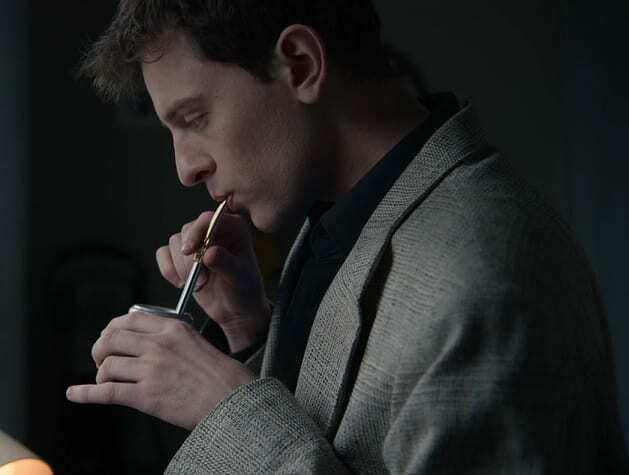 For later episodes, I chose to shut off my steeping scrutiny in favor of enjoyment. My tea senses didn’t tingle again until Episode 6. 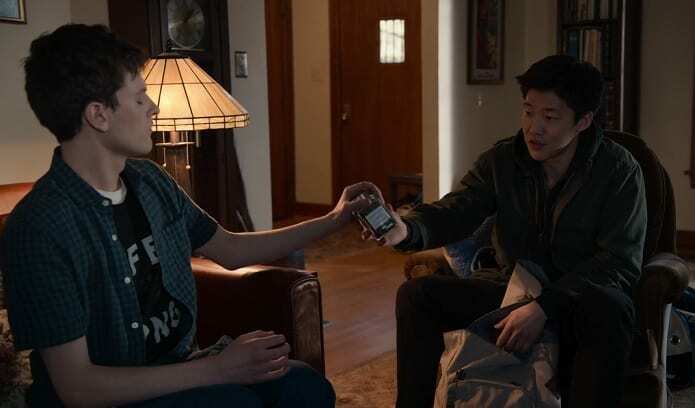 Without giving anything away, Kevin’s friend Tanner stops by his house to gift him with some tea. Kevin identifies it as an Arya Pearl Darjeeling White, 2017 Harvest. 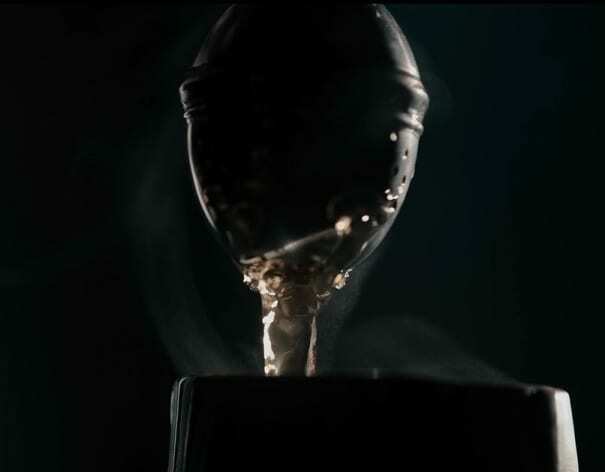 Obviously, whatever was in that jar was not Arya Pearl. This is Arya Pearl. Image owned by Thunderbolt Tea. 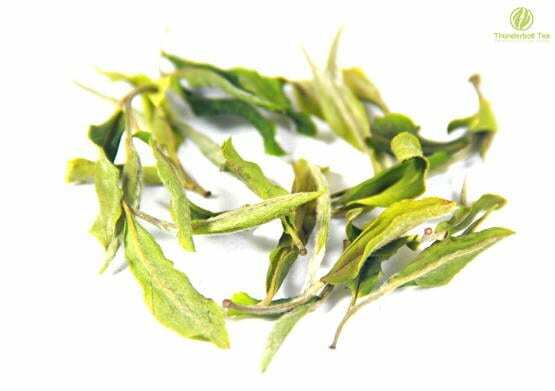 But the fact that they name-dropped an actual tea, one that I’d tried on several occasions, was kind of a big deal. Someone on the writing staff had clearly done some tea diving to make that deep of a cut. Plus, it also made me wish I had tried the Arya Pearl this year. Oh well. After binging the season, I had a few clues to go on. I had to scour YouTube for (A) a tea expert, (B) one with a penchant for gentlemanly mannerisms, (C) someone well-spoken, (D) with a penchant for hats, and finally . . . (E) someone with a predilection for Darjeeling. You may have heard of him. However, I know Robert “The Devotea” Godden personally, and he would’ve scoffed at the idea of a tea sachet-laden caddy. 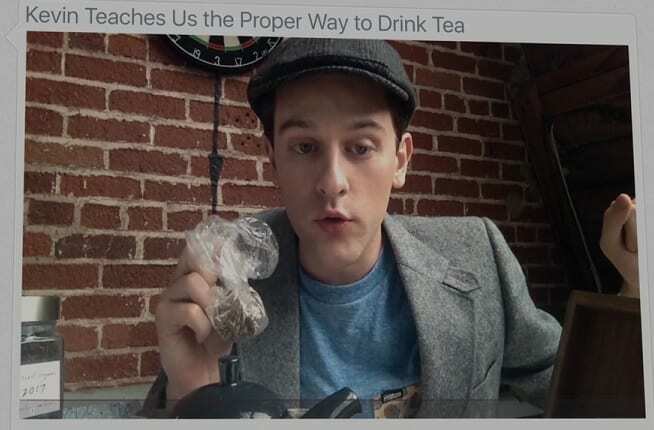 If anyone on the American Vandal production had seen any of his videos, they would’ve quickly learned of his teabag ire. It’s prevalent in every infofile. Like Robert, I know him. Aside from a passing resemblance to Kevin McClain, he bares none of the characteristics. Sure, he comes across like he knows what he’s talking about . . . but that’s because he actually knows what he’s talking about. In addition, he never put on airs—unlike the character. The third suspect was . . . um . . .
At first, I didn’t want to believe it, but then I looked up where the show was filmed. A casting call went out for extras in March of this year. The filming location? Portland. Where was I based? You guessed it. Another eerie coincidence? American Vandal Season 1 took place in the town of Oceanside, California. Guess where I grew up? Hell, I even owned the hat the character wore. Although, to my credit, I’d never featured it in a video. That and I only ever did one video on Darjeeling teas. It had to be someone else, for the sake of my fragile narcissism. In all my search queries, one video kept coming up. Awkward adolescent? Check. Affected speech? Check-check. Total tea newb? Checkity-check-check. But like Kevin, he was strangely awesome in his own way. That and—as Doctor Who established—bow ties are cool. In other gentlemanly videos he posted, he even wore British hats. None like the pauper-cap, but close. With that, I thought I found Travis Topes/Kevin McClain’s tea expert inspiration, but I had to confirm. I made one more attempt to contact the showrunners. One of them had a website with a contact page, and I posed the same question I had on Twitter. To date, I’ve received no reply. If I do get confirmation, I’ll update this blog accordingly. For the moment, though, this “case” is shelved. Similar to the show’s central mystery, further value can be found in the subtext. Even if that narrative started out as a light-hearted joke or prank. Like the title character himself, you take from the work what you find of value. Just as one takes solace in a well-steeped tea. You are a true detective. It is always interesting to see how “someone” is caricatured to see what is too much in our manners but this display is really too much. I will be sending them a bill. If they pay it, I think we’ve proved it. That’s an idea. We just have to wait to see who will get paid. Another great review. I think I might check out this series too. what a great piece! Can I say I’m a total fool for the Marvel series, they are astonishingly good updates to the comic characters I enjoyed as a kid.